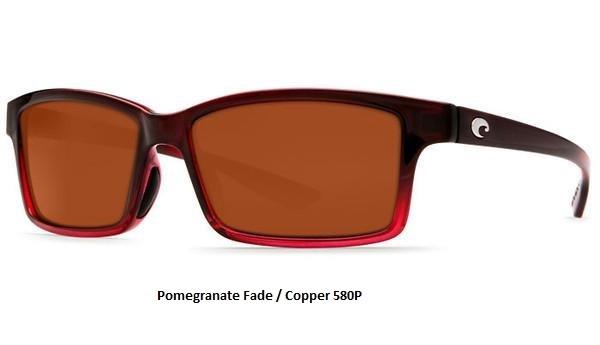 Tern - Pomegranate Fade - 580P Copper Polycarbonate Lens £159.00 Sale Price £135.00 LAST PAIR! These slender seabirds are experts at finding fish. And you will be too with these new sunglasses featuring crystal-clear 580P technology, nylon frames and new 5-barrel optical hinges for added sturdiness. Set your eyes at ease behind Costa Tern sunglasses which cut glare with polarized 580 polycarbonate lenses blocking harsh yellow and blue light.